Did you ever hear an old song that took you back? Something that stirred memories of a time gone by, a warm remembrance of a happy moment in your life. Cars can do that. In fact the last time it happened was when we first drove the Scion FR-S in 2013. The time spent in Scion’s newest little sports car brought back memories of a glorious life-changing day spent wheeling a Ferrari 430 around the Nurburgring on a perfect German spring day. Of course the FR-S is not a Ferrari, far from it in fact. However, it was the feeling, the experience that mattered and still does. The point here is that like hearing a certain song, driving a car can give us feelings, and that can sometimes be more important than the actual mechanical thing you are in. 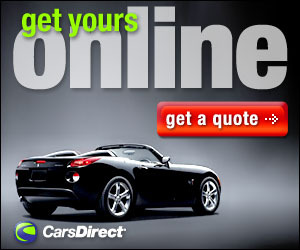 Some car reviewers like to tell you all the mechanics of a car, the innards, if you will. We could certainly do that. In over 50 years on the planet we have turned wrenches as an ASE certified mechanic complete with large rolling tool box and a cheesy girly poster hung on the side. We’ve raced on tracks all over America spending countless hours tweaking the engines, beefing up suspensions and looking for a little more speed. So we have the qualifications to talk about air dampened suspension, dynamic rev management, waste gates, superchargers, disc brakes, and the like. We could throw all manner of technical terms at you, but we don’t. Because at the end of the day what matters is how you feel when you drive a car; how that feeling applies to your everyday life. Some cars can give the satisfaction of helping to do the things we need to do in our everyday life; carry groceries, get kids to school, get us safely to work. Some can do these things in luxurious comfort easing our tensions in a quiet comfortable cabin, others in a plain utilitarian cockpit in a no-nonsense fashion. Whatever the configuration, we are different people behind the wheel, because our cars make us feel a certain way, give us a certain feeling. That is one of the best things about the FR-S. The feeling you get when behind the wheel. As a sports car it isn’t the fastest, isn’t a smoky burnout at a stoplight torque monster that will plaster you back in your seat. However, what it is, is a hell of a lot of fun. And for 2015 the fun has gotten even better. The 2013 we first had was the inaugural model. It had some small issues, but rare is the first model year that doesn’t. Overall though we had a blast with the 2013 and were able to look past the somewhat sparse cabin, the tiny hard to control aftermarket radio, the annoying “check engine” light that seemed to blink for no good reason (we found out later that Toyota was aware of this and had fixed the issue soon after the launch). All of that didn’t matter because when the little FR-S takes to the road it zips along like bumblebee searching for a flower patch. That first FR-S was great in aggressive cornering although truth be told the backend tended to want to whip out requiring constant attention. Fast forward two years; it’s like Toyota heard our pleas. The cabin is still driver-centric, but the small radio interface has now been replaced with a larger touchscreen. More importantly, the tail-sliding monster has been tamed by a stiffening of the front-end suspension. That beefier suspension and standard automatic headlights were the only changes for 2015. 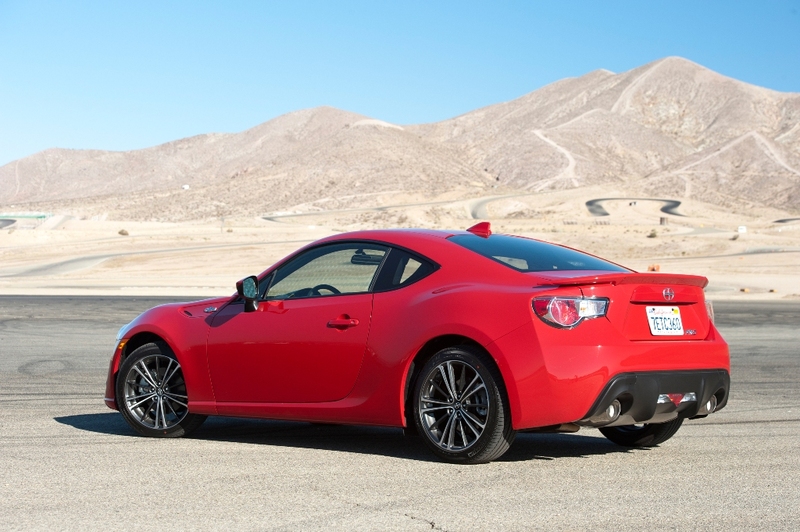 The other difference we had for our 2015 FR-S week was the standard six-speed manual transmission in our tester. The 2013 we had was fitted with the automatic transmission, along with paddle shifters. That’s an upgrade, one of the few available direct from the factory. Our 2015 model was manually shifted during our week, and it only added to the already fun experience. The FR-S continues to be powered by a 2.0-liter horizontally opposed four cylinder powerplant (much like the Boxer engine the FR-S Subaru BRZ cousin uses). The engine cranks outs 200 horsepower and 151 lb-ft of torque. 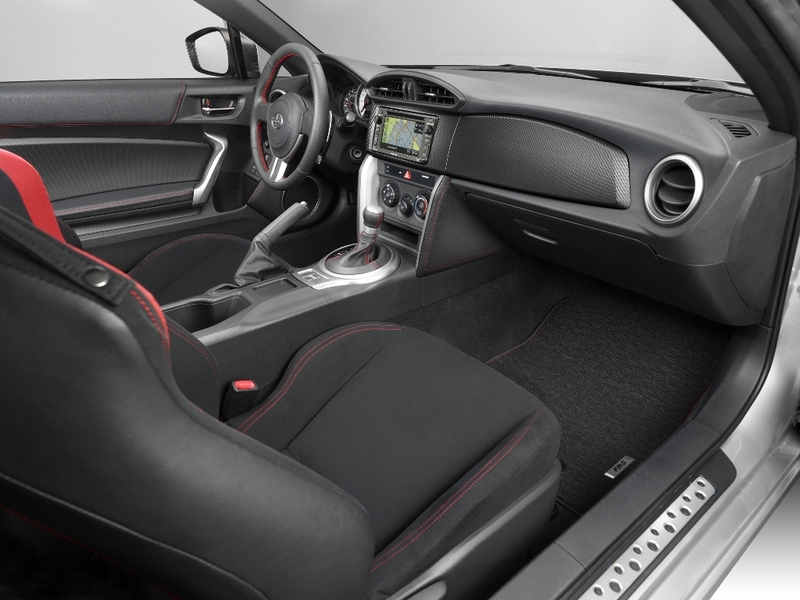 The FR-S now comes standard with a USB port, Bluetooth connectivity and an eight-speaker Pioneer audio system along with the aforementioned a 6.1-inch touch-screen display. A voice-activated BeSpoke audio system with navigation and smartphone app integration is available as a dealer-installed option. The front bucket seats can be manually adjusted six ways on the driver’s side and four ways on the passenger. The designers did their homework, because just like our 2013, the seats are comfortable and bolstered just right. Little has changed once on the road. This is a drivers’ car so the road is felt through the seat and the pleasant chorus of the engine filters into the cabin. With the stiffer suspension, the confidence to corner aggressively is heightened as the back now better follows the front. The manual shifter in our 2015 has short throws and truth be told added a lot to the already fun experience. There was another surprising difference we found as well. We actually carried passengers in the back seats. This didn’t happen in the 2013 model as the thought was the backseats were useless. Turns out they can be used, and although a long trip would be out of the question, if need be they can be utilized. At the end of the week, we were left with the same feelings we had two years ago. 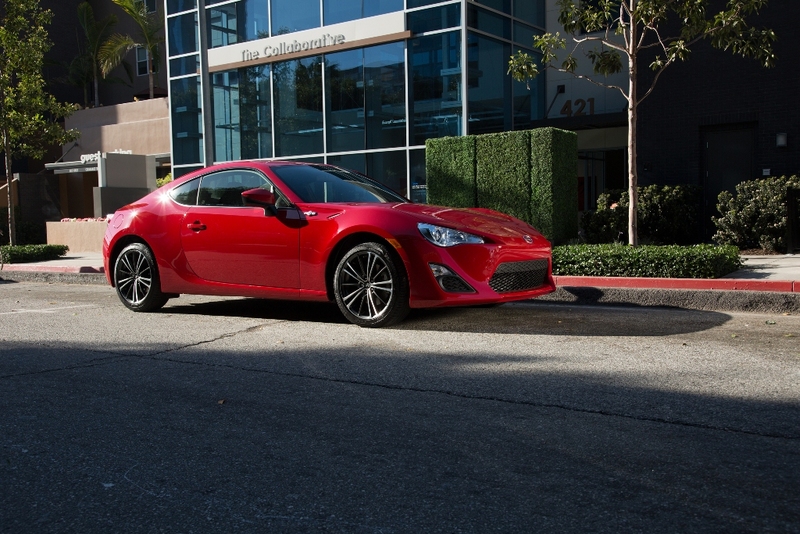 The FR-S gives a feeling of a great sports car. Sure, it isn’t fast, It won’t match up for a Ferrari, but for far less than $30,000 the same feelings can be had. For 2016 the only changes are some minor interior improvements, two new colors, a new standard audio system and a rear-view back up camera. Other than that, the FR-S will remain the same as when we first drove it. With the few upgrades including the stiffer suspension that the FR-S has it is now more than just a feeling, it’s a great little car that is one of the most fun driving experiences on the road today.